It's a whirlwind weekend back in Cebu (just dont' take it literally though). I've travelled back home to Cebu, Philippines over the weekend to celebrate the wedding of my younger brother. After that, we've been running to and fro to attend to our 'TO DO'S LIST' and finally we (I mean me and hubby) are now back to Singapore. Sigh! Back to reality that is. During the wedding, I've noticed the lovely hair and makeup of the entourage, especially the eye makeup done by the makeup artists from Hair It Is Salon. When I look closer, I became jealous of the beautiful eyelash extensions added to their eye makeup look. So I've requested to put a pair to my eyes too. (By the way, I did most of my makeup for the event that's why I've requested for the falsies to be put on my eyes). So today I'll be raving about this falsies or false eyelashes from Beauties Factory Professional False Eyelashes. 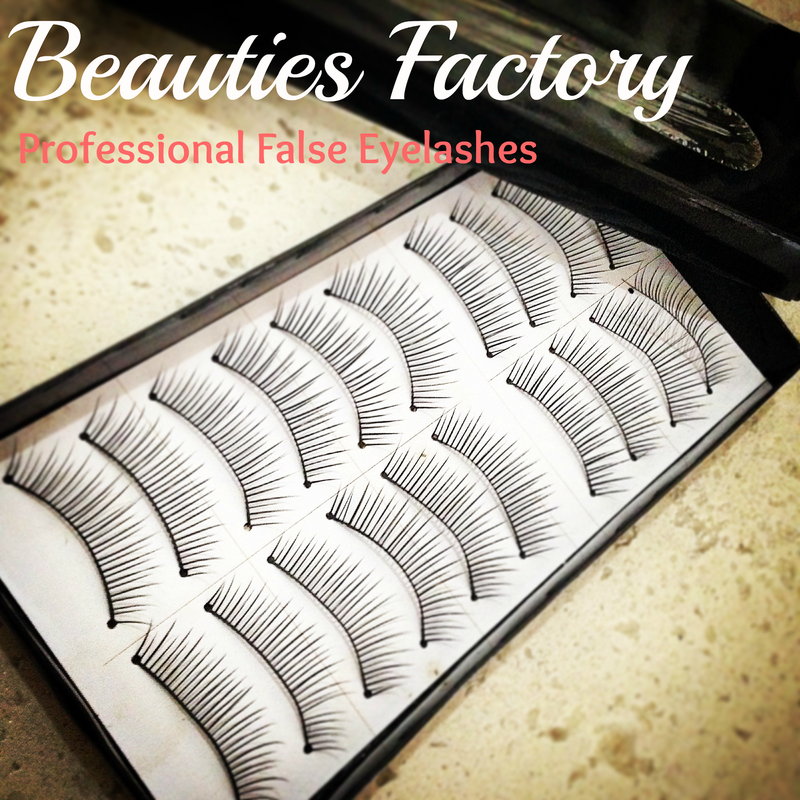 The Beauties Factory Professional False Eyelashes comes in a box of 10 pairs of false eyelashes. Well, it's obvious that I really like these falsies / false eyelashes for the fact that I've ordered a box of it after the wedding. I brought it from Hair Is It Salon for PHP 160 which is really cheap. These false eyelashes is a tad cheap. It costs PHP 160 for 10 pairs of false eyelashes. Doesn't look fake. In other terms, it just looks like your normal eyelashes. Easy to put on your eyes. I find some eyelashes to be a bit heavy for the eyes but for this false eyelashes it doesn't even feel like I'm wearing it. It doesn't come with a glue. You have to pay for it separately. I honestly don't find this a 'con' since the glue is super cheap as well but I've only put this here for FYI purposes. Here's a photo of how it looks like on my eyes. I don't normally put falsies / false eyelashes on my eyes but this false eyelashes is really a nice fit for my eyes so much so I've decided to buy one box. I'm not sure if this is available anywhere else but I bought mine at Hair It Is Salon As Fortuna Street Cebu, Philippines. Looks great. I never use the lash glue that's included I prefer to use my own.